2018 NEW YORK LIZARDS DANCE TEAM TRYOUTS TO BE HELD FEBRUARY 10th ! The New York Lizards are looking for talented, versatile, athletic and personable dancers to represent the organization this season. The Lizards Dancers will hold try outs for the 2018 dance team on Saturday, February 10th with call backs on Sunday, February 11th at Pearl Studios in New York City. 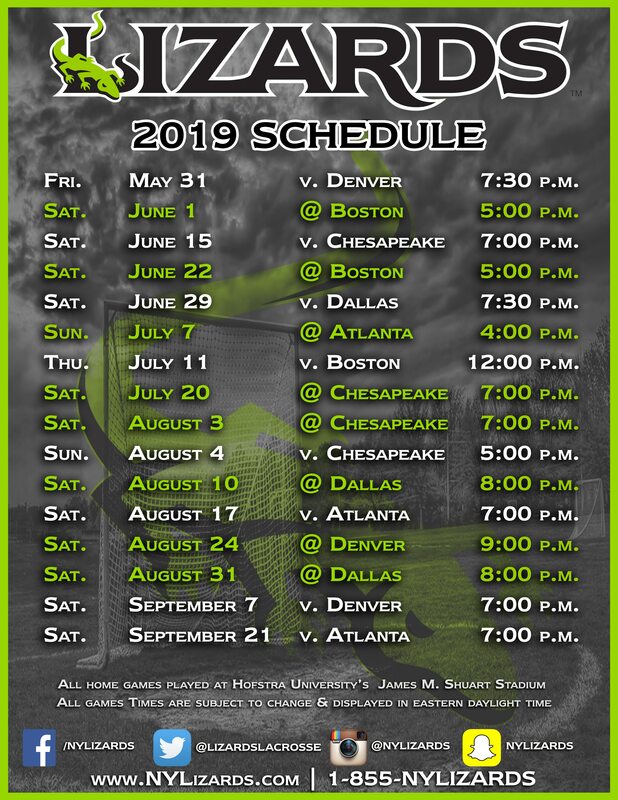 The New York Lizards Dancers will perform at all 2018 New York Lizards home games, as well as other public appearances throughout the season. The NY Lizards Dancers will be under the direction of Paula Sanders. Paula is professional dancer and choreographer whose credits include Prince Royce, Pitbul, Neyo & Melissa Gorga to name a few. She also spent two years performing at the world’s most famous arena as a Knicks City Dancer. Paula is celebrating her 6th season as the director and coach of the NY Lizards Dance team and is looking forward to making this the most exciting season yet! · Must be at least 18 years old. Please bring valid ID. · Dress the part! Please wear body conscious dance/workout wear with full hair and make up. All candidates must be available to attend all or most NY Lizards home games (full schedule at NYlizards.com) and weekly evening practices beginning in March in NYC at Pearl Studios. Games begin in April and run through mid-August. Professional compensation will be provided for all games, appearances, and practices. To register, candidates should click the link below. If you have any questions, please email PSanders@NYLizards.com. Walk-ins are welcome, but not guaranteed entry.